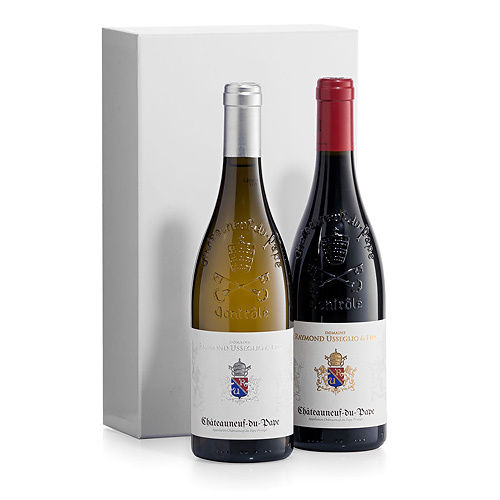 Enjoy a pair of classic full-bodied wines created by Domaine Raymond Usseglio & Fils from the Châteauneuf-du-Pape AOC in the Southern Rhône Valley. The bottle of Châteauneuf-du-Pape red wine is rich and warm on the palete, bursting with black raspberry, juicy black plum, dark cherry, licorice, and aromatic spices. The finish offers soft yet persistent tannins. The Châteauneuf-du-Pape blanc is a fresh wine with an open nose and nice length. Flavors of white fruits, apricots, and almonds make it a pleasure to drink. This French wine duo is presented in a luxury white gift box to make a refined statement of good taste. An excellent wine gift for business, friends, or family. 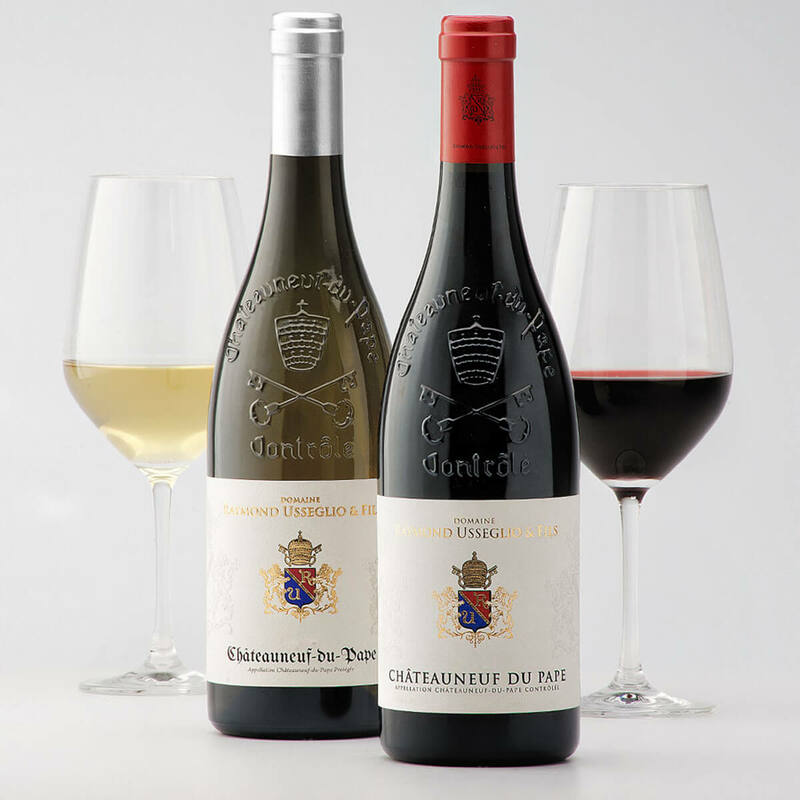 The Châteauneuf-du-Pape blanc is a fresh wine with an open nose and nice length. Flavors of white fruits, apricots, and almonds make it a pleasure to drink. Rich and warm on the palete, bursting with black raspberry, juicy black plum, dark cherry, licorice, and aromatic spices. The finish offers soft yet persistent tannins.